The longlist for The Orwell Prize for Exposing Social Evils was announced this month. 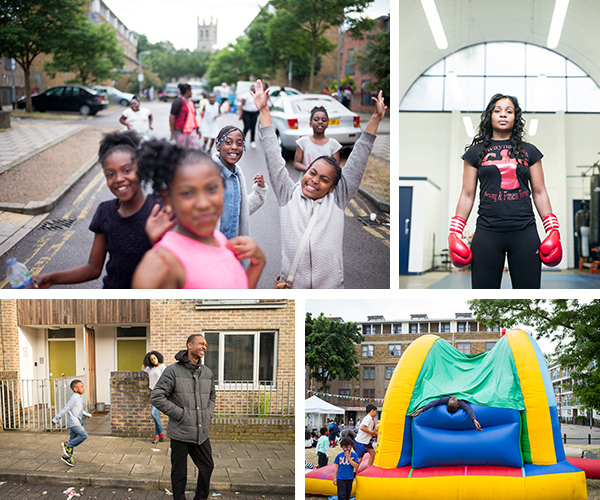 I am thrilled that David Cohen (Campaigns Editor), Kiran Mensah (Photographer) and myself have been nominated for our work on the London Evening Standard Campaign ‘The Estate We’re In’. The Orwell Prize is Britain’s most prestigious prize for political writing. It is awarded each year to journalism which comes closest to George Orwell’s ambition to ‘make political writing into an art’. It is a real honour, not just to be nominated for the award, but also to have been allowed into the lives and into the trust of the people of Angell Town. A photographic exhibition of ‘The Estate We’re In’ starts on 19th May at Citigroup Centre, Canada Square, Canary Wharf, London, E14 5LB. Years ago, I used to live next to the old Arsenal FC stadium. Every second Saturday, the street would be filled with the chatter of excited supporters on their way to the match. 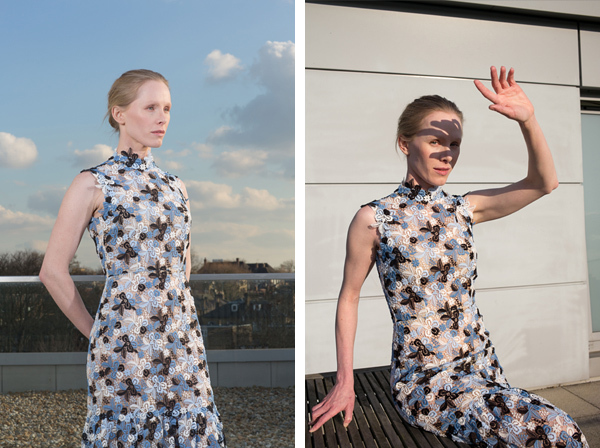 The fans and the football team have long gone but I still felt a buzz as I headed towards Highbury on a beautiful, blue sky day to photograph Susanne Wuest. The London Evening Standard had commissioned me to photograph the Austrian actress at her penthouse there. My mood was further enhanced by the charming Wuest, who was promoting her art house horror film ‘Goodnight Mommy’. Over coffee and chocolate cake, she confided to me that she had nurtured a pair of cockroaches from infancy to adulthood for the role. “If I’m going to have a cockroach running across my face and in my mouth, I want to be friends with them.” Who could argue with that? One of the highlights of my job is gaining unique access to actors and trying to capture a different face or personality from the familiar roles they play. We often confuse the character on screen or stage with the actual person who is playing the role. My regular shoots for the Daily Telegraph and London Evening Standard have allowed me to explore a different side to Neil Morrissey, Tom Burke and Dominic West to the ones we are all used to seeing. I love my Leica camera. You can call me a geek if you like but I am in good company. 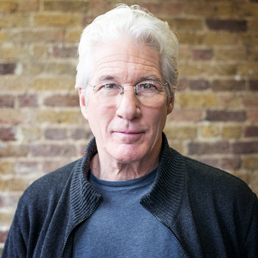 Richard Gere, one of Hollywood’s biggest names, is also a fan. I made this discovery when I had 90 seconds to shoot his portrait. He was visiting the charity Crisis as part of a tour promoting his latest film ‘Time Out of Mind’, where he plays a homeless man. Forty-five seconds into the shoot, I switch cameras to my Leica M. Mr Gere remarks, “Now this is a camera I’m going to enjoy being photographed by!” 45 seconds later, his PR tells me my time is up. Richard protests, “Wait a minute’’, comes over and grabs my camera and asks, “Are these as good as everyone says they are?” Having a one to one with Richard Gere about photography was pretty surreal, but as I keep saying, the Leica really does make a difference.